The mettle of a person can be seen by how they treat animals that nobody thinks about. Some people even try to kill animals that simply annoy them—like mice and squirrels. But here is a rodentophile with extra heart, as described on the site Inner Strength. 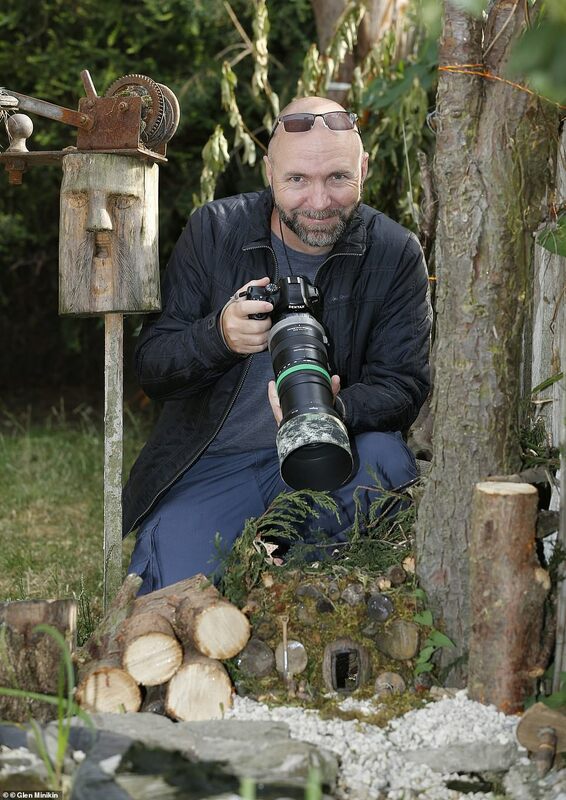 The article describes the handiwork of wildlife photographer Simon Dell, who found mice in his garden. 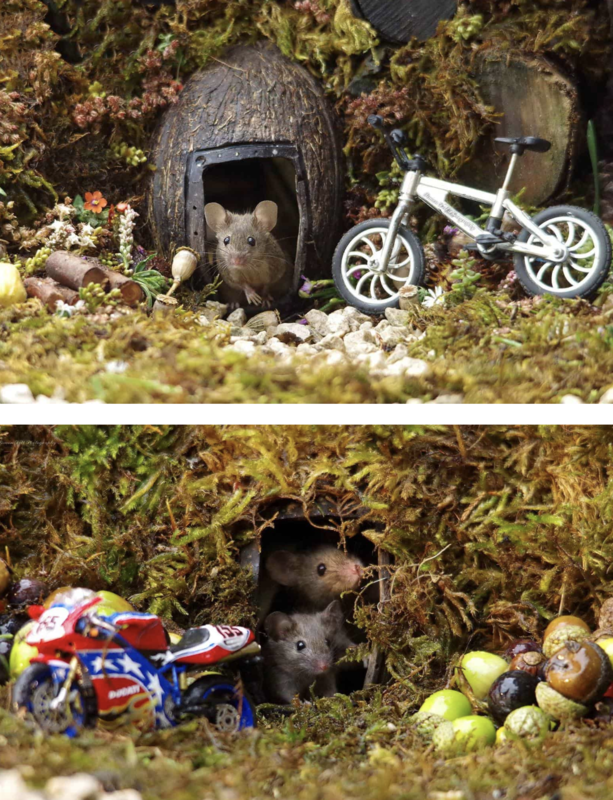 His affection for the rodents mushroomed into a project: a full-blown Mouse Village. This man loves his mice as much as I love my ducks. Look at that multicourse spread! Here’s a video. The voice is robotic and probably computer generated, but it’s still a good story. This entry was written by whyevolutionistrue and posted on December 3, 2018 at 2:45 pm and filed under heartwarmers. Bookmark the permalink. Follow any comments here with the RSS feed for this post. Both comments and trackbacks are currently closed. There is indeed a fine line between pets and pests..
Didn’t say if it was heated in winter. I wonder what the carrying capacity of this little eco-community is, and how might it be maintained? Maybe there should be a cat-house addition to this delightful scene to ensure its continued existence. 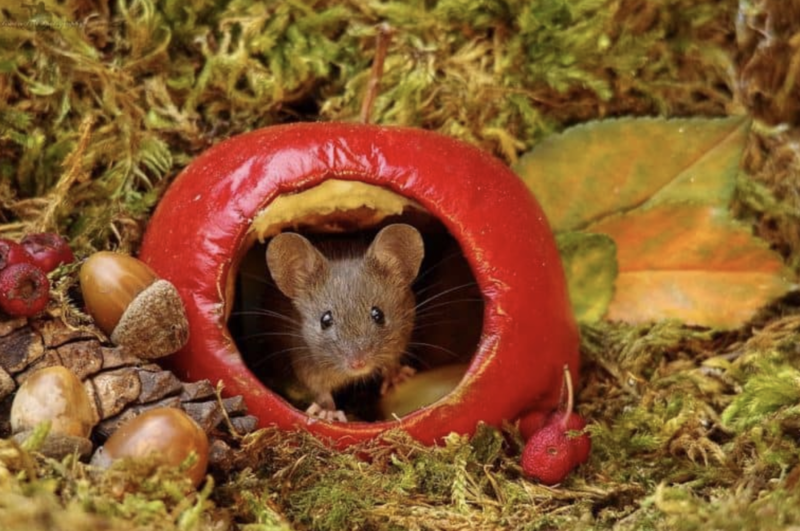 I was just thinking that it is very fine and dandy to have a mouse commune in your backyard, but I hope that all his neighbors are cat people. I must learn to embrace voles. After years of feeding on seeds fallen from the birdfeeders, they had grown to the size of rats! Well, I thought some could have been, but then I read that voles can get as big as rats! Yikes! The critters big and small in my garden were very well fed, on purpose or by happenstance, as I used to put out kibble for the feral cats too. So cute! Better keep a close eye on them, though. Now that they’ve reached this stage, industrialization might be next, which could lead to war with the Catsis Powers. What a wonderful man. You can tell a lot about him by the way he treats those weaker than himself. Wish we could all be like that. Cute! We have a family of shrews living under our shed. Unfortunately, they are very skittish and normally only come out at night to collect their seeds and nuts, so I only get glimpses and can’t get pictures. I find it amazing that these tiny animals survive our -30 Fahrenheit winters! Do shrews eat seeds and nuts? 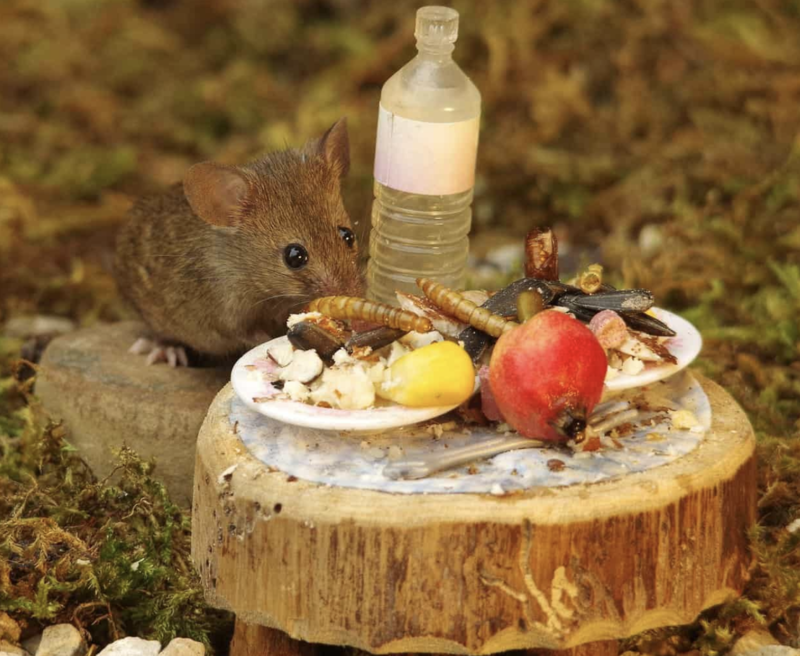 I thought they ate insects, grubs and other small fry, even small mammals and reptiles. As soon as I saw the headline to this post I thought, “The measure of a person is how he treats animals” — and then I read the first line, which pretty much mirrors my sentiment! Of course, many of us eat animals, so I don’t know how far my sentiment can be extended. Don’t some animals eat other animals? Thanks for posting this amazing, inspiring story! This is so, so true! I hope his neighbors don’t have cats. This is so wonderful. I’ve been despairing of humanity recently, and this video helps me remember there are more than a few good people out there too. A much-needed heartwarming story, thanks for sharing it. It won’t be so cute when he picks up a hanta virus. Man then dies of hantavirus..
Merry Christmas. Oh wait.., I’m a Lefty, I have to keep up The War on Christmas. I’ve had a problem with mice in my house (although so far I haven’t seen mouse poop around this year). 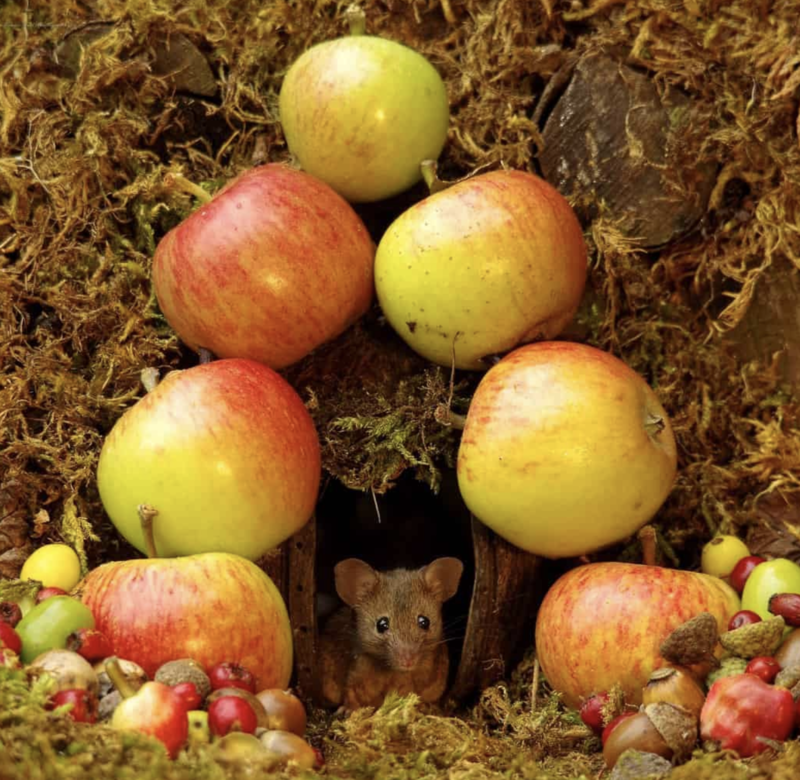 I’m wondering if a mouse village of this sort would give the mice a nice place to live other than in my house.